Hispanic leaders are decrying a crackdown on undocumented workers and proposed repeal in the Affordable Care Act as potentially having a devastating impact on the Southern Nevada economy and Latino community. 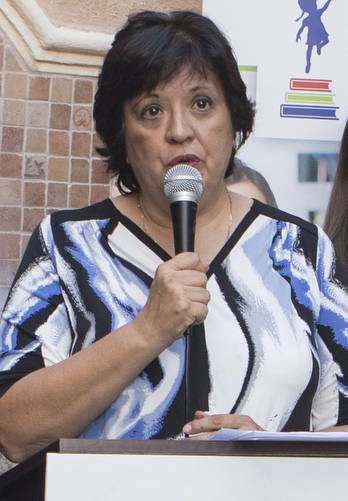 Hispanic leaders are decrying a crackdown on undocumented workers and proposed repeal of the Affordable Care Act as potentially having a devastating impact on the Southern Nevada economy and Latino community. 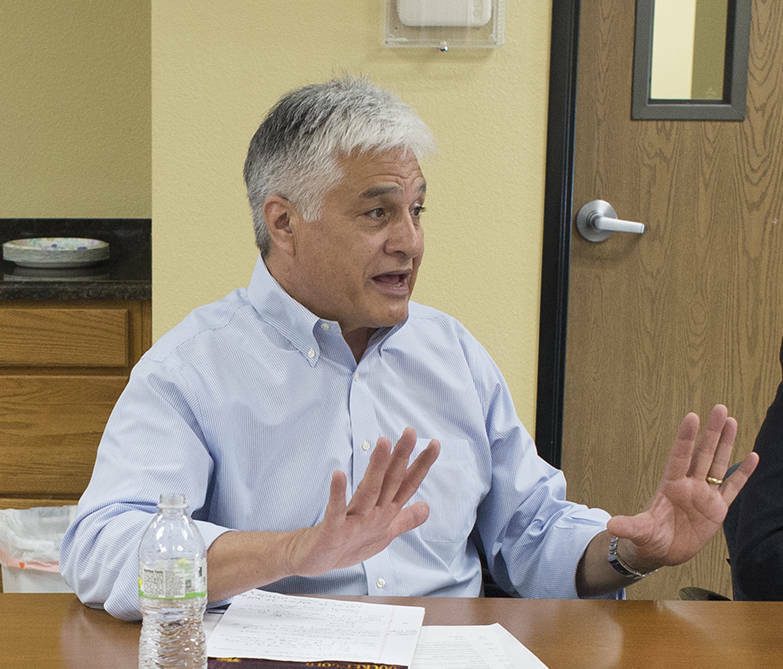 Executives with the National Council of La Raza and other Latino leaders raised their concerns during an economic roundtable March 3 at the office of the Laborer’s Union Local 872. Albert Jacquez, director of the NCLR’s Policy Analysis Center, said families are making contingency plans after watching Immigration and Customs Enforcement arrest undocumented immigrants and deporting them. It’s not only affecting Latino families in terms of the human impact, but Jacquez said it’s important to show people there’s an economic impact of this crackdown when families get ripped apart. Jacquez said the most recent estimate showed there were 130,000 undocumented workers in the state, and if all of them were deported, the state’s GDP would decline by $5.74 billion a year. Jacquez said that while an impact has been felt by President Donald Trump signing executive orders, much more is coming from Congress that will have a “huge impact” on the Latino community. One would be the repeal of the Affordable Care Act that would potentially take away private insurance from people who get subsidies to buy it on the exchange. In addition, those who got covered by the expansion of Medicaid also face the prospect of losing coverage if those funds are trimmed. Sylvia Lazos, a law professor at UNLV who moderated the roundtable, said the Affordable Care Act has been huge for the Latino community. One in three Latino children weren’t insured prior to its implementation, one of the highest rates of uninsured in the nation. Lazos said studies have shown one in three to one in four adult Latinos are undocumented. By contrast, the Clark County School District said 90 percent of children in school are U.S. citizens. 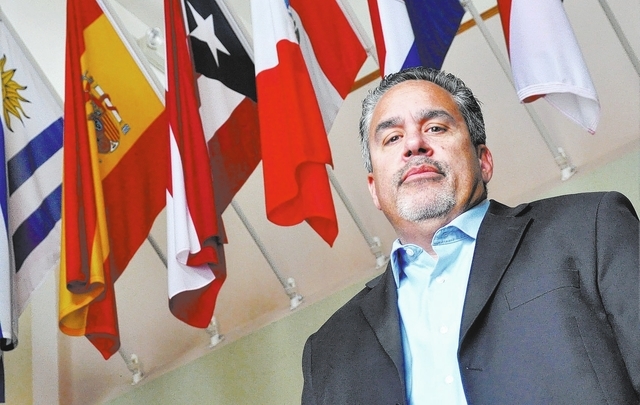 Latino leaders credited Gov. Brian Sandoval for expanding Medicaid coverage in the state to ensure more people are covered. But they were concerned the state’s funding will be reduced by the federal government and suggested what’s happening with protests at town halls across the country is making a difference. There are 5.1 million families in the country who have at least one undocumented parent, and 90 percent of those are Latino, Jacquez said. Proposals may be coming that would take tax credits away from their children, he said. One concern raised by those in attendance during the roundtable that wasn’t part of the agenda is the inability of Latino businesses to gain access to loans and other capital from major banks. Some companies have turned to high-interest loans to make payroll, and others have taken title loans on their vehicles because they can’t get a loan approved by a bank, those in attendance said. Peter Guzman, president of the Latin Chamber of Commerce, said the Latino community needs to apply pressure on national banks so small businesses have access to capital. Guzman said banks have said they will ultimately get around to making more loans, but bank executives cite their responsibility to shareholders even when they are sitting on a lot of cash. If members of the Latino community took their money out of banks nationwide, that would put pressure on them to make loans, he said.